‘Tis the season for wearing hats, and boy do we love options. We love hats so much, yet we often find ourselves in the rut of tossing on the same ol’ thing the same ol’ way. Thus we challenged ourselves to showcase our current favorite styles, and of course have some fun with it. Berets: ½ of us is a reluctantly recovering cigarette & Diet Coke addict, the other ½ has the whole actual-French-girl thing going on. We’re mere steps from fleeing the country to roam the streets of Paris with an IV of French butter. 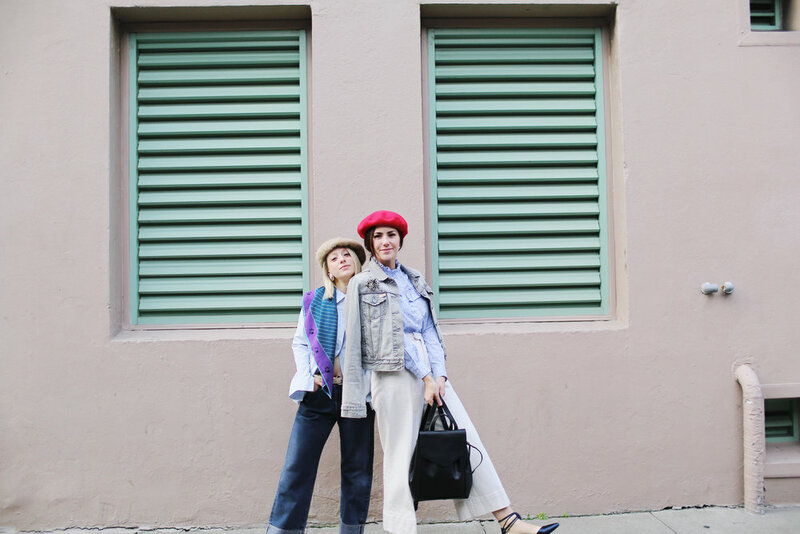 The point is: believe us when we say berets are coming back--see here, here, and here if you have trust issues. Sass Caps: We’re full of sass, and so are these caps. They make us feel part mouse/part verrrry fashion-blogger. If you can’t beat ‘em, wear something that’ll make you smile. Bonus points for matching, duh. 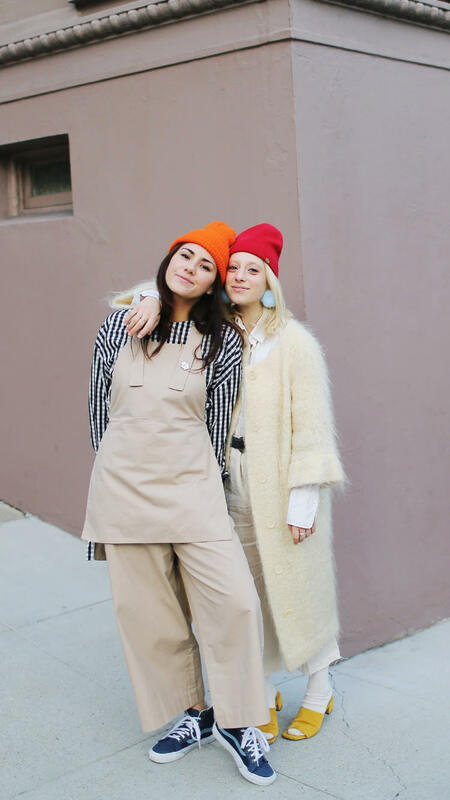 Beanie Babies: Obviously beanies have been around the block, and they’re here to stay. We’re always looking for new ways to style our favorites, and human gnome seems to be winning lately.